LOCKERBIE Golf Club is on the upswing, thanks to a rent reprieve, but they are still in the midst of a decline with only 100 members. The club were this week let off the hook over a rent bill of £3600, owed to Lockerbie Common Good Fund. Since 2013 the club have frequently requested rent reviews and reductions. They have lost 24 members in the past year, equal to £10,000 in income and drainage issues continue to be a blight. However, the club has been praised for their cost cutting and fundraising efforts: including volunteers stepping up to take on various roles. 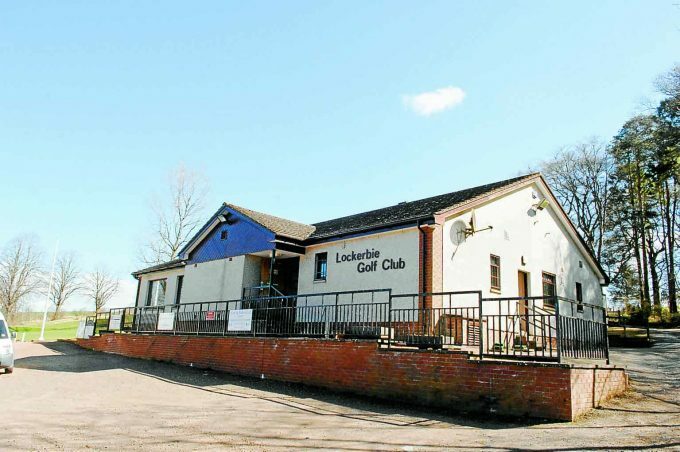 Speaking at the Common Good meeting, which took place on Tuesday night, council official Steven Wylie explained he has been working closely with the golf club. He said: “There is very much a change in attitude at the club. They have been doing a lot of fundraising. “They are asking that they need a bit more of a chance to keep up their momentum. Members of the Common Good Fund committee voted to charge and then reimburse the club their £3600 fee to help them for another year. But unfortunately for the fund, the golf club’s rent is actually their only major income. Their current cash balance is £17,689.15 and they receive bank interest of approximately £35 per year. Meanwhile, the club are busy applying for grants to fix a £60,000 drainage issue and are appealing to Castle Milk Estates, who they pay rent, worth £6500, to for the far side of the course to waive their fee. The estate have so far not charged the club rent since 2010.